My art, while sometimes inspired by tragedies such as global warming or the BP Oil Disaster, is meant to convey hope & love. It’s also intended to celebrate the wonderful life on this planet. Some people hold the view that mankind has “dominion” over the natural world. What a negative belief that leads to power, violence, control, & death!! Consider shifting the view to one of mankind’s “stewardship” over the natural world. This more positive belief leads to compassion, love, nurturing, & continued life. Let me add my voice to the Beatles & all those who have gone before me… All we need is love. We’ve got to be stewards of this delicate planet. Just think what a wonderful world this could be if we each, in our own special way, raised our voices for life & love. Polar Bear Family: Like every good mother, this polar bear mama just wants the best for her children. 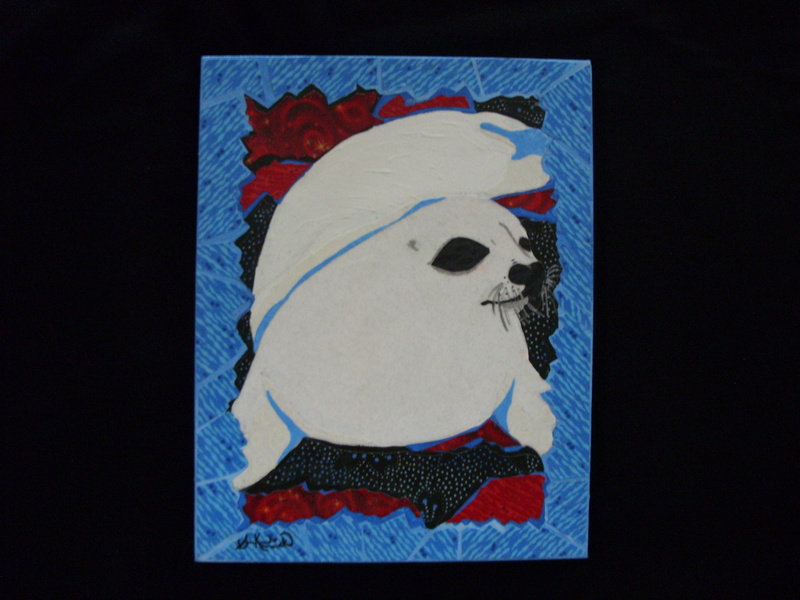 Baby Seal: It's time for a new era built on love & stewardship for the earth. 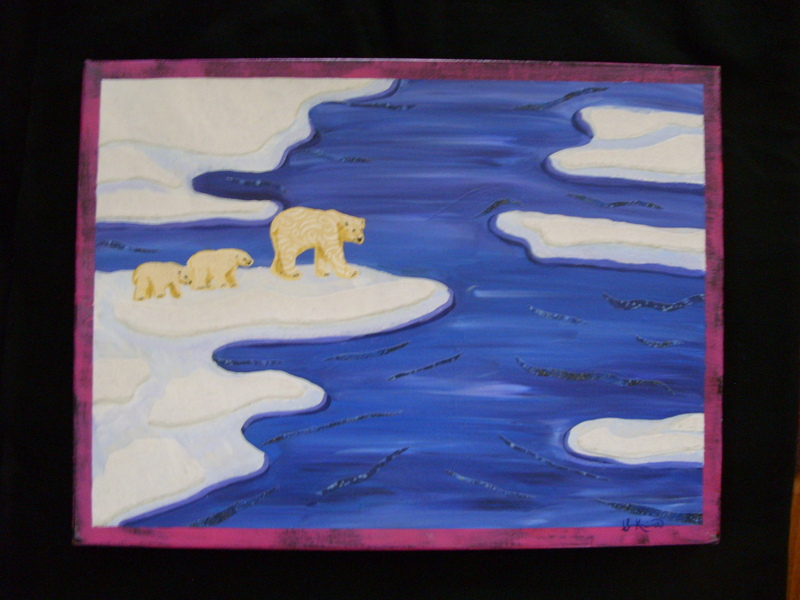 This entry was posted in A Window on Life, Art and Soul, My Love for Nature and tagged art, Beatles, collage, earth, Ghandi, global warming, Jesus, love, Martin Luther King Jr, polar bear, seal, stewardship by puresusan. Bookmark the permalink.